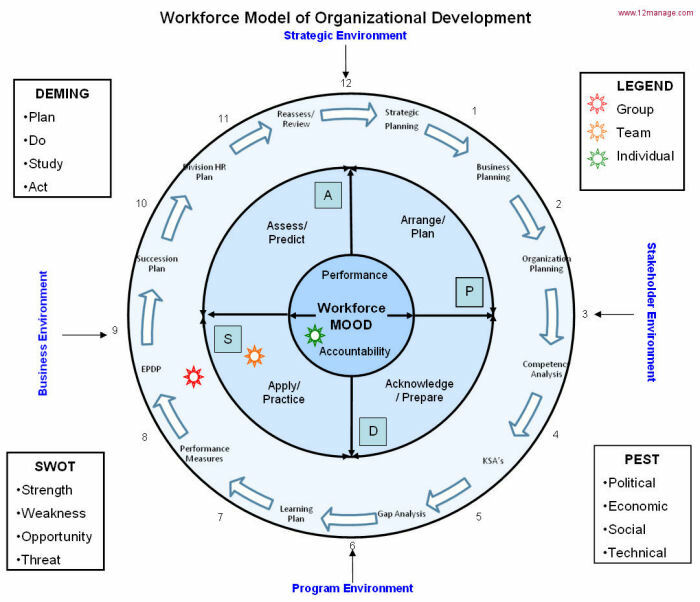 The Workforce Model Of Organizational Development (Workforce MOOD) enables a review of an organization's workforce. The Workforce MOOD identifies a phased 12-step framework that can be used to review an organization. The model may be viewed as circular or linear. While it is better to conduct all 12 steps, an organization may choose to focus only on the steps it deems are required. Thank you David for sharing this truly interesting model.